Deal 5 damage. 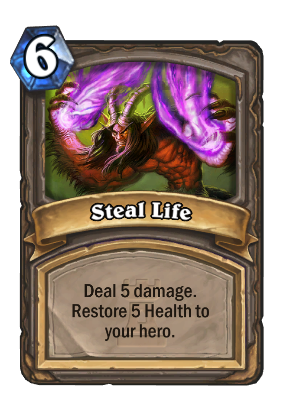 Restore 5 Health to your hero. Actually can be a real card.